Sometimes the easiest solution to a problem is to avoid the problem. That's why at PTI we build bucket liners with a molded step. 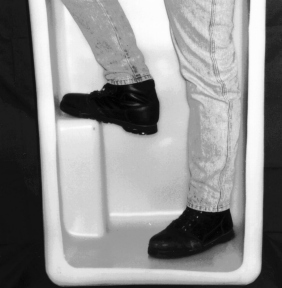 By ordering your liner with a built-in molded step you avoid difficulties in exiting the bucket before they occur. You also avoid the "fit" problems of removable steps ordered at a later date. So why not avoid problems before they occur...order your next liner with a built-in molded step.